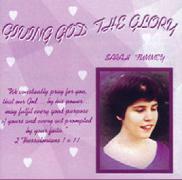 Albums by Sarah Tummey with free downloads. Amazing to have made a 2nd album! 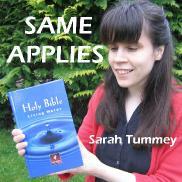 This one’s a collection of songs about people/places in the Bible, and how the same applies to us today. I think the album’s very me - there are some different styles on here, so listen and enjoy, and thanks to everyone who (unknowingly) helped to inspire the songs. sample. To do Your will. sample. I think it means. 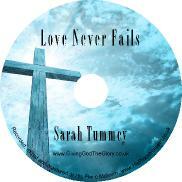 From the Psalms to Jesus' last supper with His friends, from the birth of a baby to God's presence in the everyday, love features heavily in this collection of songs written over the last ten years. Ballads such as "You're the Only One" or the slightly Christmassy "If You had Never Come" are interspersed with more up-tempo offerings. Two highlights for me were recording a song by my friend Crystal Kupper, and having my dad read on the title track. sample. You're the Only One.